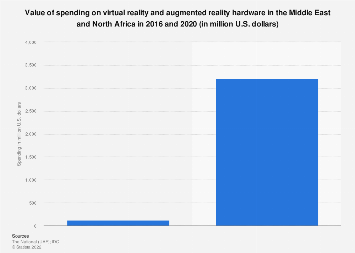 Augmented Reality a $50 Billion Opportunity? 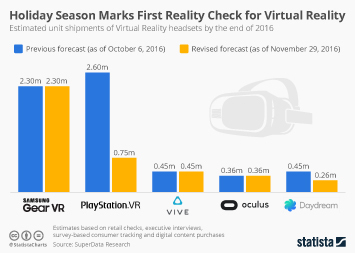 While 2016 will go down as the year in which virtual reality finally became real for consumers, the industry has already set its eyes on the next prize. 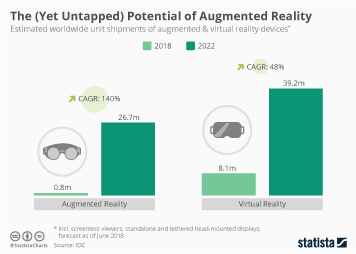 Industry heavyweights such as Google, Apple, Microsoft and Facebook are reportedly all working on augmented reality devices that some are already touting as the next ‘next big thing’. 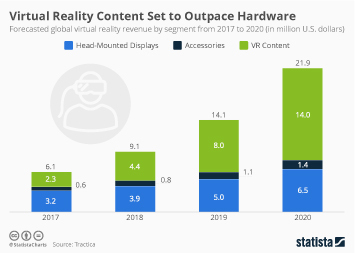 With Sony, Facebook, Google and others all having released virtual reality headsets and an estimated 10 million units shipped in 2016, the technology clearly has a head start over augmented reality. 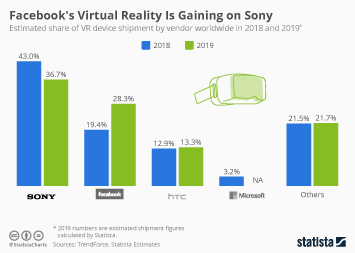 And, according to a recent forecast published by IDC, AR headsets won’t be competing with VR devices in terms of unit sales anytime soon. 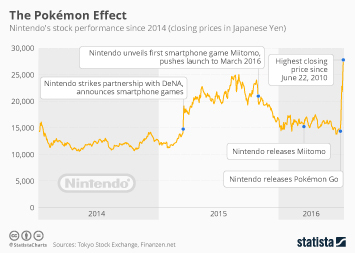 The company’s analysts do however expect augmented reality headsets to become the much bigger market in terms of revenue. 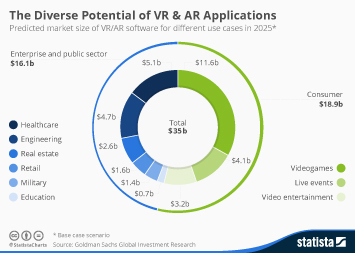 According to their estimates, the augmented reality market could reach nearly $50 billion a year by 2021, which would explain why every major player wants in on the party. 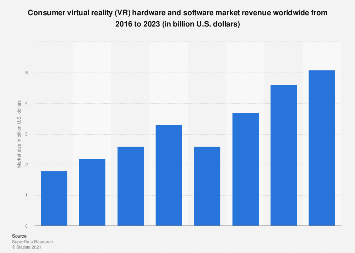 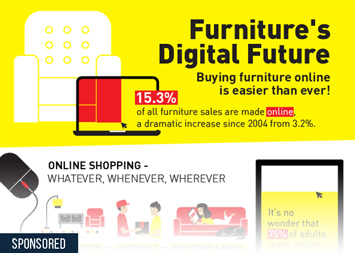 Because of the more sophisticated technology involved, future augmented reality devices are expected to be priced significantly higher than virtual reality headsets which, depending on the level of sophistication, can be bought for less than $100. 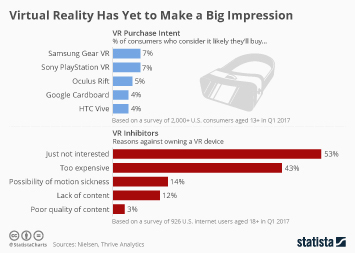 According to IDC’s senior research analyst Jitesh Ubrani, such low-cost models may ultimately hurt VR technology more than they promote it. 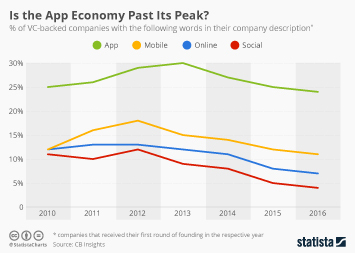 He argues that consumers who have a bad experience using an entry-level model may turn their backs on the tech altogether. 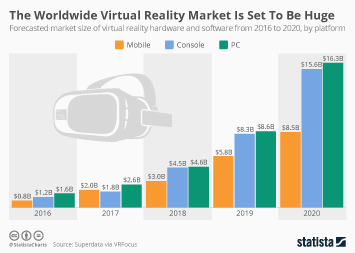 This chart shows a forecast of virtual & augmented reality headset sales. 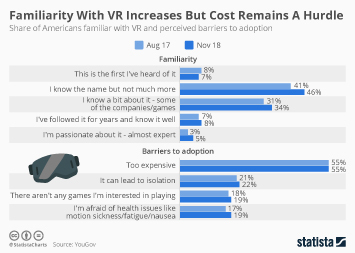 Who Leads the Virtual Reality Race? 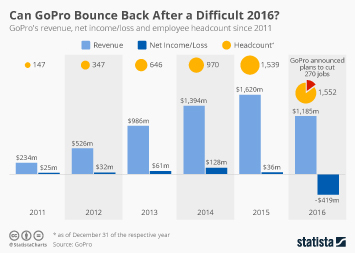 Can GoPro Bounce Back After a Difficult 2016?